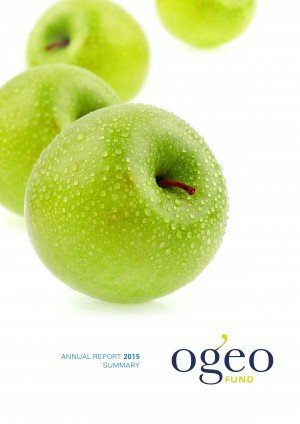 On the presentation of its 2015 Annual Report, OGEO FUND, the 5th largest Organisation for Financing Pensions (OFP) in Belgium, posted a yield of 5.08%, an overfunded asset of 620 million euros and a profit of 49.5 million euros at the end of December 2015. OGEO FUND manages more than one billion euros of assets (1.125 billion €) in a prudent and diversified manner. Its enhanced governance and investment policy combining prudence, transparency and performance, enable OGEO FUND to approach, and this in the long term, its missions regarding the financing and payment of pensions of its 4,183 current and future pensioners among its 7 sponsoring companies with confidence. Given the size of the amounts generated, OGEO FUND seeks to maintain very high standards of governance. OGEO FUND created therefore its own institutional open-end investment company (SICAV), called "OGESIP Invest", providing closer monitoring over its fund managers. OGEO FUND wishes to contribute to improving knowledge and holding debates in society on pensions in Belgium. Within this proactive approach, OGEO FUND commissioned an exclusive opinion survey on pensions in Belgium. This opinion survey, carried out by IPSOS, was made in the spring of 2015, on a representative sample of 1,065 people in Belgium aged between 25 and 70.